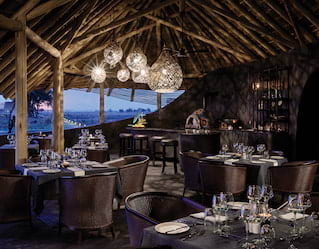 There’s no place quite like the Okavango Delta to throw a party. From inspiring events to milestone birthdays, our three luxury lodges offer stunning venues for any occasion. Spot big game on team drives at dawn, dine under indigo skies at a traditional ‘Boma’ or host a reception on our deck as zebra and giraffe roam close by. What’s more magical than an alfresco event with loved ones? One that takes place in the rugged African wilderness. Embark on cultural village tours followed by gourmet picnics prepared by our chefs. Or enjoy a night of stargazing, traditional campfire music and tales from local elders. 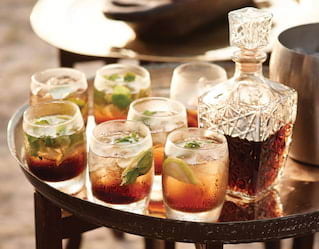 Be it a grand banquet or intimate cocktail party, our location and team ensure a life-changing celebration. Whichever lodge you choose, Belmond Safaris offer moments of romance. Let our team help you plan a passionate proposal or an unforgettable African safari honeymoon. There’s a magic to Botswana that never fails to bring people together. Celebrate a special family anniversary or entertain clients with a breathtaking safari excursion. Group rates apply to parties booking five rooms or more. Safaris can also be chartered for bigger occasions and parties accommodating up to 24 people. 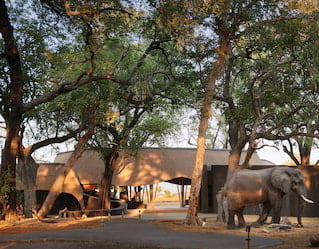 Our three unique safari lodges provide the perfect mix for groups wanting the best of the African savannah. With just a short flight you’ll find a whole new world of botanical, astronomical and gourmet delights. Group itineraries can be specially tailored, with exclusive rates available for parties of between 15 and 24 people. For a truly bespoke safari experience, hire an entire lodge to stage a your dream occasion. Our expert team will work with you to tailor every detail. From special banquets to epic African sunset soirées, we can schedule every meal, safari excursion, cocktail reception or spa treatment to your party’s prefered agenda. Let us help you customise the perfect itinerary. Or arrange a self-drive safari that sees you take the wheel, leading your loved ones on an adventure they will never forget.